Background: Elsworthy – entrepreneur and inventor with a heritage of developing successful consumer products, and CEO of CEL. COO Tam heads up CEL’s operations in Hong Kong. CEL is a British-based product development company. We have designed and manufactured a diverse range of products, and first made our name with the POWER8workshop, which was featured on Dragons Den. 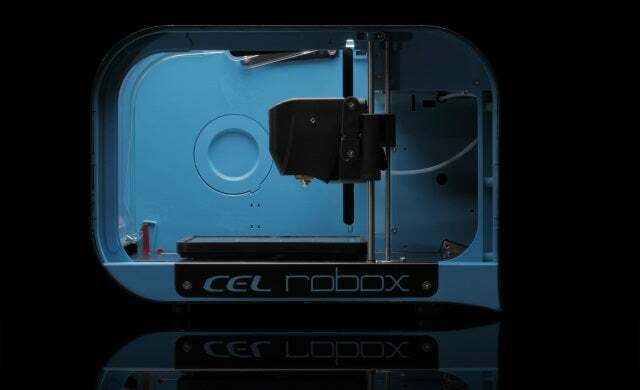 More recently we launched the Robox 3D printer, which is currently our main product focus as a business. At CEL our mission is to develop products that incorporate the best technology and make it accessible for ordinary consumers to use at home. Take the 3D printing industry, for example. The technology has been around for years, but its users have so far been confined to businesses and industry. This is in part due to the fact that 3D printers have traditionally been very expensive and complex to use, which has kept them out of the hands of many people who may find the technology useful, like small start-ups, artists, architects, children and families. That’s where the idea for Robox was born: to bring a stylish, effective and affordable 3D printer to market. With Robox, people can ‘plug and print’ models of the highest quality in a wide range of materials and colours. That’s how we’re disrupting the market. We’ve developed a product which will disrupt the traditional manufacturing process to bring micro-manufacturing to the masses. On the whole, we are privately funded. However, for some products we do seek external funding when necessary. For example, with the Robox 3D printer we turned to Kickstarter to help fund the final stages of product development and raised almost £300,000. This was an excellent platform for us, because as well as helping raise the cash to finish the product development, it enabled us to establish a community of beta users almost overnight. These early backers have been an invaluable part of the Robox journey because not only have they supported us by helping to bring the printer to market, but they have also provided feedback which has led to several new innovations and product improvements. By turning to Kickstarter to help fund the final stages of product development, we have managed to get the 3D printer into the hands of people that matter – the tech enthusiasts, designers, hobbyists and tinkerers, who have helped us deliver a product that we are confident is as good as it can be. Elsworthy – For as long as I can remember, I’ve always been designing my own things or fixing stuff. I’m fascinated by getting to the bottom of how things work – I’m one of those people who loves taking gadgets apart and then reassembling them, just to find out how they have been made. I took this passion to university where I studied industrial design. After university, I spent time working for a few other companies, but soon realised that I had my own ideas which I wanted to bring to completion. I love having my own business, because it gives me the freedom to make whatever I want! Bristol has a great engineering heritage and good transport links to the rest of the country. It’s a thriving city and it is also beautiful, diverse and very cultural. We therefore have the benefit of being able to work with some really talented people, whilst also living in a cosmopolitan city which is actually quite small and accessible in size.